This plasma cabinet offers top quality that will last for years. Your media and electronic belongings are important, so you need to protect them. 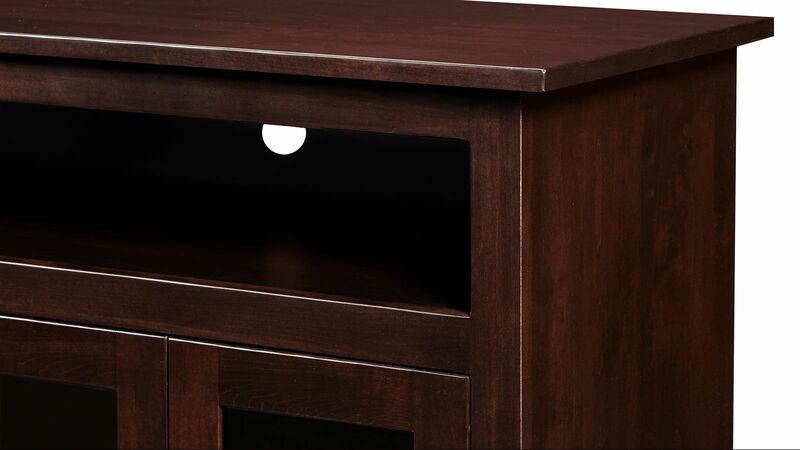 Featuring solid maple wood, a dark finish, and plenty of storage, this plasma cabinet boasts the perfect combination of durability and style, along with a home for all of your favorite games and movies. Glass doors let you proudly store and display all of your media items, while convenient cord cutouts in the back make it easy to organize the cords that normally end up turning into a tangled mess. Three media bays and two cabinets provide all the room you’ll need. 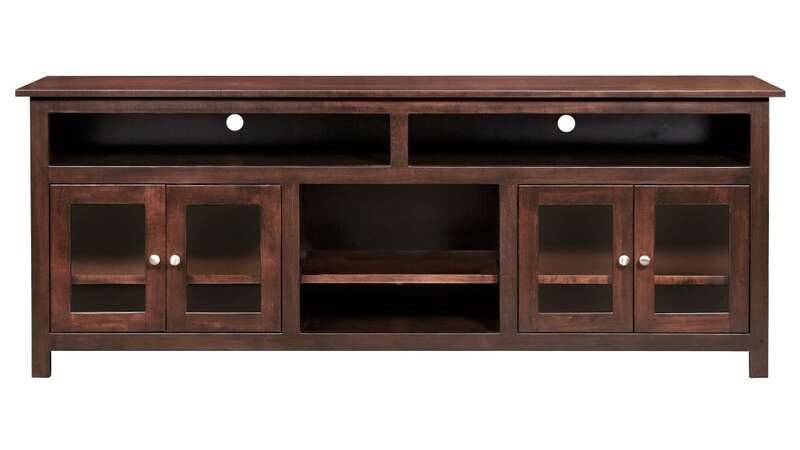 Solid maple wood creates a durable, quality media cabinet. A glistening dark asbury finish shows off the natural beauty of the solid maple wood grain. 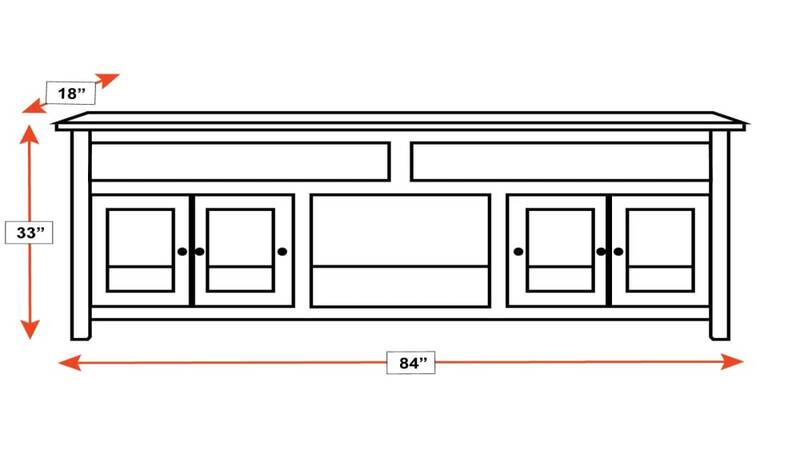 Two cabinets provide plenty of storage space. Cord management cutouts keep all wires hidden. Polished pewter door handles finish the look in style.